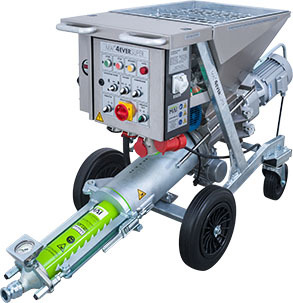 The MAI®4EVER-SUPER is a powerful and compact mixing pump offering the highest performance in a mortar machine that can be used over long conveying distances. 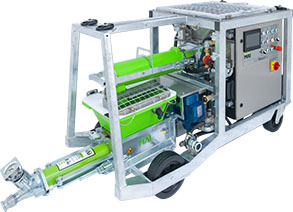 The MAI®4MULTIMIX is a special purpose mortar mixing pump that sets new standards in process security thanks to innovative water- and dry material management technology. The MAI®4YOU-ECONOMY is a proven performer plastering machine for pre-mixed dry mortar material. The MAI®4JOB-BUSINESS is a unique plastering machine that fits through almost every door, allowing access to the most difficult sites where pre-mixed dry mortar is needed. The MAI®4ONE-SIRIUS-PLUS is a one-man all-round plastering machine for renovations and pre-mixed dry mortar as well as pasty masses. 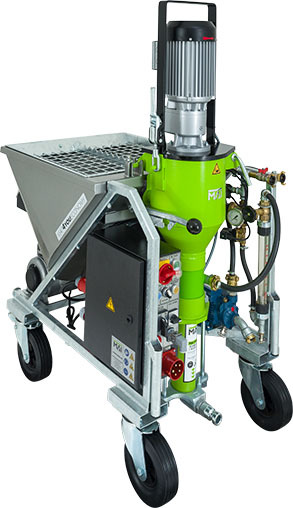 Mortar mixing pumps and plastering machines are an important tool on modern construction sites. MAI International GmbH has been creating reliable and innovative mortar mixing pumps for nearly 50 years. We are world leaders when it comes to mortar machine technology. 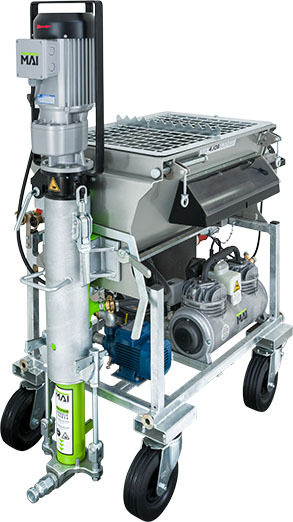 Whether you need a specialist render or plaster machine, or a powerful all-purpose workhorse on your jobsite, MAI has the answer. Make a MAI mortar mixing pump part of your construction team. 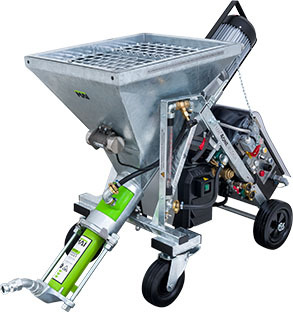 Talk to us about the range of high-performance MAI plastering machines from this world-leading mortar mixing technology supplier. The MAI®4MULTIMIX is a special purpose mortar mixing pump that sets new standards in process security thanks to innovative water- and dry material management technology. It is a mixing pump for special applications that do not allow the slightest fluctuations in material consistency, where multiple additives might be added and in which there can be no change in consistency, even when counter-pressure forms in the mortar hose.